6oz grilled chicken breast on Brioche Bun served with choice of cheese (American, Swiss, Provolone, or Mixed cheese) and choice of toppings, BBQ sauce, Ranch, Honey Mustard, (grilled onions, peppers, mushrooms, Pepper Jack cheese $.50 each) Served with choice of chips or fries. Your choice of crispy or grilled chicken, shredded lettuce, tomato, mixed cheeses, and Jalapeno Mango Sauce wrapped in a flour tortilla. Your choice of crispy or grilled chicken, bacon, shredded lettuce, tomato, mixed cheeses, and ranch dressing wrapped in a flour tortilla. Sliced grilled Turkey, Tomato, Swiss Cheese, 1000 Island, and Sauerkraut on grilled sour dough bread. Silk Mill Burger topped with grilled onions, bacon, Homemade Jack Daniel’s sauce, and Pepper Jack Cheese. Served with fries. Grilled chicken breast topped with bacon, Pepper Jack cheese, and Ranch on a Brioche Bun. Fresh greens topped with sliced seasoned chicken, a corn black bean & pepper salsa, scallions, tomatoes, mixed cheeses, tortilla chips, and Mexi-Ranch dressing. Turkey, ham, bacon, coleslaw, Swiss cheese, tomato, and thousand island dressing on grilled sourdough bread. A lump crabmeat crab cake seared golden brown with Bay Mayo, lettuce, and tomato. Served with french fries and coleslaw on the side. A classic chicken salad with a unique flavor. Choice of Wheat or Sourdough bread. Choice of french fries, chips, or side salad. Fried Alaskan Rockfish served with French Fries and coleslaw. Three tender strips served with French Fries. Flour tortilla filled with chicken, cheese, jalapenos, scallions, & tomatoes. Served with a side of sour cream and salsa. Tortilla chips topped with seasoned ground beef blended with salsa, cheese, tomatoes, scallions, and jalapenos. Or with sliced chicken and corn pepper salsa. They’re called “Full” because they are full of the things they should be, cheese, bacon, and scallions. Served with sour cream or ranch. Meaty wings served as Hot, barbeque, teriyaki, or plain, with your choice of bleu cheese, ranch, or teriyaki sauce for dipping. Fresh homemade soup made Daily. Most of the soups we offer are Gluten Free. Silk Mill Burger topped with mushrooms, Swiss cheese, and horseradish garlic sauce. Served with choice of chips or fries. Silk Mill Burger topped with grilled onions, original barbeque sauce, American cheese, Swiss cheese, and Bacon. Served with choice of chips or fries. Grilled chicken topped with Honey Mustard, Bacon, and Swiss Cheese on a Brioche Bun. Grilled chicken, grilled onions, mixed cheeses,bacon and original barbeque sauce, served on a Brioche Bun. Tender pulled pork on a Brioche Bun with your choice of Original, Smoked, Hot & Spicy, or Carolina style BBQ sauce on the side. Served with a side of coleslaw and choice of chips or Fries. All children’s selections include small drink, choice of french fries, applesauce, or fruit cup, and a kids ice cream. Penne Pasta mixed with 4 cheeses and creamy Alfredo sauce. Fresh button mushrooms hand breaded and fried. 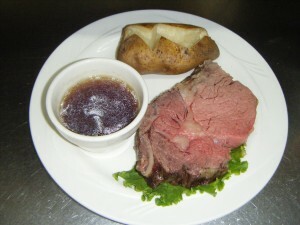 Served with a side of Ranch or Horseradish Garlic sauce. French fries covered with melted cheese and bacon. Served with choice of sour cream or ranch. Fried golden brown, served with marinara sauce. Hot baked crab dip served in a Sour Dough Boule topped with tomatoes and scallions. Homemade spinach and artichoke dip baked with Parmesan cheese and topped with fresh tomatoes. Grilled Bell Peppers, Zucchini, and Mushrooms grilled over an open flame and glazed with a sweet citrus sauce served over rice. Add grilled chicken, Angus Sirloin, or Grilled Shrimp. A bowl of soup de jour or baked french onion and a garden or caesar salad. A generous portion of garden or Caesar salad. Shrimp and Scallops tossed with tomato and scallions in a light garlic butter wine sauce with Penne Pasta. Penne pasta tossed with baby spinach, fresh mushrooms, and tomatoes in our home made Alfredo sauce topped with a 9oz Hand cut Angus Sirloin. With choice of soup or salad. Shrimp, Scallops, and crab meat tossed with Penne pasta in a creamy red sauce with scallions, and spices. Your choice of broccoli or fresh steamed vegetables tossed in our own homemade alfredo sauce with penne pasta. Served with choice of soup or salad. All dinner selections are served with your choice of soup de jour or salad, and choice of wild rice blend, fresh steamed vegetables, Baked potato, or Mashed Potatoes. Tortellini with marinara as side $1.59 extra. Angus beef tips over wild rice with corn pepper salsa, tomatoes, scallions, mixed cheese, and Mexi-Ranch. Served with choice of soup or salad. Meaty baby back ribs slow cooked to perfection. Basted with your choice of original, smoked, hot & spicy, or Carolina style BBQ sauce. Choice of side and choice of soup or salad. Feeling adventurous? Try Jalapeno Mango sauce or Jack Daniel’s glazed Ribs($1.50 upcharge). Just like Mom use to make, a generous portion. Served with choice of side and soup or salad. Angus beef tips sautéed with onions and mushrooms, tossed in a garlic red wine reduction sauce. Served with choice of side and soup or salad. Smothered with grilled onions and rich brown gravy. Served with choice of side and soup or salad. 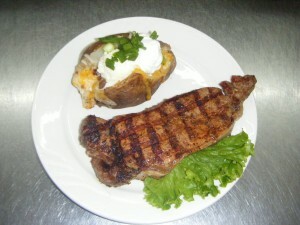 A 12 oz no-nonsense perfect steak. Served with choice of side and soup or salad. 12oz Angus Beef Rib-eye steak. Rib-eyes are marbled with fat which gives them a great flavor. Served with choice of side and soup or salad. Seared Rockfish topped with baby scallops, baby shrimp, fresh spinach, mushrooms, and tomatoes with a creamy red sauce. Your choice of seasoned and grilled, or battered and fried. A combination of Alaskan rockfish, shrimp, and a crab cake, fried or broiled. One crab cake seared golden brown and 6 seasoned grilled shrimp. 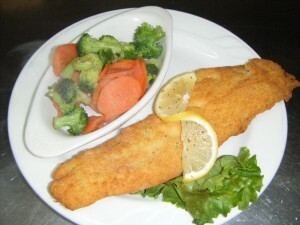 A generous portion of Alaskan Rockfish, your choice battered or seared. Rockfish has a tender texture with a fine delicate flavor. An 8oz salmon seasoned with our own special blend of spices. Served grilled, blackened, pineapple orange glazed, or Jack Daniel’s glazed. Grilled chicken breast topped with horseradish garlic sauce, sauteed spinach, mushrooms, tomatoes, and Provolone & Gouda cheeses. Diced chicken glazed with our pineapple orange glaze tossed with pineapple, carrots, scallions, snow peas, and wild rice, served with choice of soup or salad. Grilled chicken breast, topped with original barbeque sauce, grilled onions, bacon, and a blend of cheeses. Served with choice of soup or salad. Grilled chicken breast topped with crabmeat, Alfredo sauce, tomato basil, provolone and smoked gouda cheese. All sandwiches are served with French fries or chips.